Fringe booties back in action! My most comfortable shoes of the past year, as you’ve probably noticed, make a heavy rotation through my wardrobe. I’m slightly obsessed with them, and no lies, following one very late night a while back I actually fell asleep with them on at one point. It’s love. 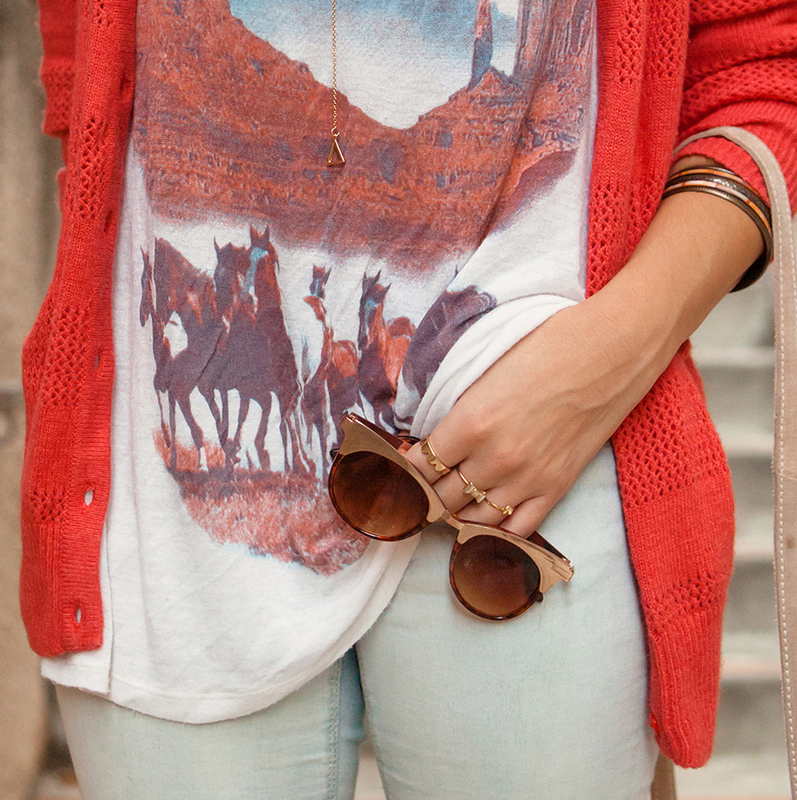 Keeping it casual, layered, and with a punch of color, I paired some bleach-wash skinnies, an oversized western graphic tee, and kept the burnt oranges as the highlight of my outfit with my textured cardigan. I busted out the fringe bag to keep the look going, and the best part was getting the chance to wear one of my favorite beauty products; Fresh “Sugar Lip Treatment” in Coral. It goes on like the most buttery-smooth balm imaginable, making your lips feel amazing, and covers like a lipstick. I’m obsessed and own almost every color. Muah! Kisses.